These days selfies seem to be a big deal. They’re devoted primarily to social media sites. I suppose it’s a form of self portraiture, but despite the urging of friends and colleagues, other than this blog, I have never subscribed to social media. I have however, made self portraits ever since I’ve been using a camera. I suspect the self portrait goes back as far as early man painting on cave walls. It’s certainly something the classic art masters did occasionally. What drives the urge is anyone’s guess, but self portraits have much to say about the person making them. It may be egotistical or just playful. My involvement has been sporadic yet impulsive. Glenn Eure’s Ghost Fleet Gallery in Nags Head has hosted an artist self-portrait exhibition for 22 years. This year’s show runs from April 1 through May 11, and it’s always entertaining and fun. One of my previous entries was shot in 1974 while I took my 1964 Volkswagen searching for waves on Ocracoke Island. 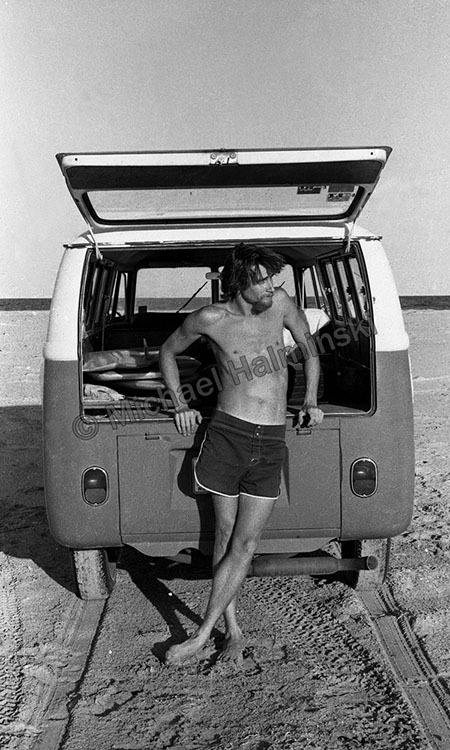 Once I reduced air pressure in the tires, my Microbus easily went anywhere on the beach. With a tripod-mounted Yashica, I tripped the shutter using the self timer and Pan-X film. 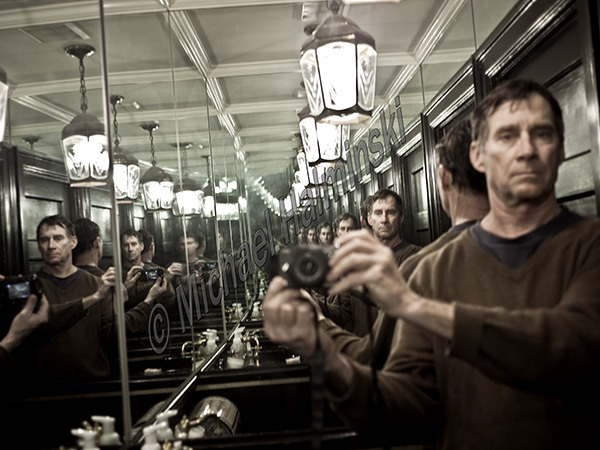 For this year’s entry I chose a self-inflicted photo from 2013 when I was attending a seminar in Washington, DC. After a day of hearing some presentations by some of the world’s finest photographers, I found myself socializing with a few others at the beautiful home of Tim Kelly the National Geographic Society president. After a while, I excused myself to the restroom on the main floor. Going inside I was immediately captivated by the effect of mirrors on all four walls of the tiny room. I have not really been one of those photographers taking their camera everywhere, but this was an exception. I put on my best passport face and shot with a Panasonic GF1. This entry was posted in black & white photography, People on March 27, 2017 by j0jgvm89bj.